Bear, Chase's second collection of poetry, grew from her research for a non-fiction book about an illegal bear poaching operation. In the poems, the author addresses a bear, exploring the curious line between humans and other mammals, while other poems are written from the point of view of a prisoner, jailed for unknown crimes. Aside from these, there are many autobiographical and notional poems, subjects ranging from Chase's girlhood polio to her directions about daydreaming. 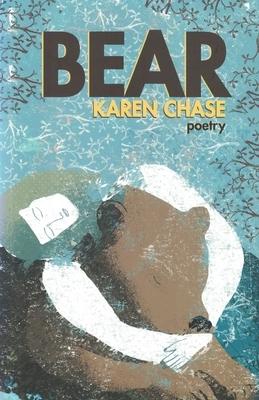 "Among other instructive pleasures in this new collection, Karen Chase's "Bear" poems are an innovation. I recommend them to the reader--with caution, please "--John Haines. KAREN CHASE lives in the Berkshire Hills of Massachusetts. Her poems have appeared in many magazines, including The New Yorker, The New Republic and The Yale Review. Her collection of poems, Kazimierz Square, was short-listed by ForeWord Magazine for their 2000 Poetry Book of the Year Award. Her poems have been widely anthologized, including work in The Norton Introduction to Poetry and Billy Collins' Poetry 180. Her non-fiction book, Land of Stone was published in March, 2007.